We have crafted and tested to perfection our adventure itineraries to Iceland´s most spectacular places, winter, summer, spring or fall. Let us help you discover Iceland from the black sand beaches to the glaciers of the highlands. We can match all sorts of activities to your personal style and preferences and find you the best accommodation in every corner of Iceland. See below two of our popular winter tours. Please contact to get your private itinerary. This is a tour that starts with the highlights of the Golden Circle, the great waterfall Gullfoss, the hot-springs at Geysir and the fissures and the marks left by the separating tectonic plates at Thingvellir. 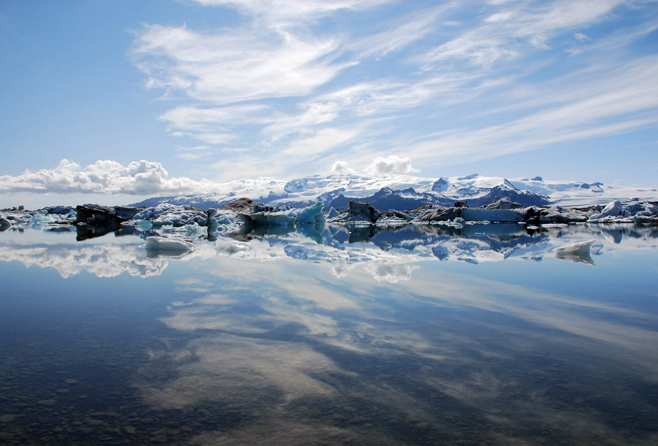 From there on the road takes you to Jökulsárlón – the Glacier Lagoon. Huge blocks of ice constantly break off Vatnajökull, Europe’s biggest glacier and fall into the Glacier Lagoon, some of them the size of an apartment block. There they drift up to few years before they brake down and the current takes them to the sea. It is a magical place, ideal for a walk on the hills and the black sand beaches where fragments of ice lie around like huge pieces of crystal. On the way to the lagoon there are so many things to see: impressive waterfalls like Seljalandsfoss and Skógafoss, black sand beaches, Skaftafell the national park, the scenario of the Eyjafjallajökull 2010 eruption and the scenic views to the big glaciers. We could not let you go without one stop in Reykjavík to experience the cozy little capital with its great restaurants and finally may we suggest, a dip into the Blue lagoon geothermal spa? This tour is build around the magic and beauty of Snæfellsnes peninsula. But when we also add our favorite spots in the Borgarfjordur valley, like the Hraunfossar waterfall and the powerful hot-spring Deildartunguhver you obviously have the most complete three-day tour. The Snæfellsnes peninsula is an area of outstanding beauty famed not only for its supernatural powers and otherworldly connections but also for its profoundly interesting geological history. The jewel of the region being of course the Snæfellsjökull Glacier. You will have the most spectacular coastal drive with multiple options for scenic stops. Among the highlights are the small villages Stykkishólmur, Arnarstapi and Hellnar and the sea stacks around Svalþúfa. Icing on the cake will be provided by the lava tube cave Vatnshellir and the Ice tunnel, where you can stroll inside the blue glacial ice. We overnight in the the nice boutique Hotel Búðir.